As we approach the celebration of Christmas, it is important to understand what, in essence, occurred on the day of Christ’s birth. John 1 speaks of the event as the incarnation of the Word (1:14). To explain it, however, he uses two other ideas: life and light. Life, in that His was the active force of the creation that which brought into being all things and, as Colossians 1:15-17 states, that which sustains it. Light, referring to the revelation of this truth, the hope and direction that a belief in this creating and sustaining power and submission to it brings. What strikes me about the nature of Christ’s birth, which is consistent with this concept of light and life, is its pervasiveness; it refused to be contained. From the announcement of the angels to the shepherds and their subsequent testimony of the event (Luke 2:8-20), to the star that led the wise men to announce and seek out the “king” who had been born (Matthew 2:1-12), the news spread far and wide. No one, not even those in the loftiest places of power and influence or the holiest places of worship were immune to its effect or exempt from a response to this revelation, this breaking in, this invasion. John the Baptist, the witness to the light, illustrates its effect on the society of the day. His testimony of that light had created such a ruckus, making honest men out of tax collectors and moving Roman soldiers to repentance (Luke 3:7-14), that even the religious elite of the day were forced to deal with him (John 1:19-28). 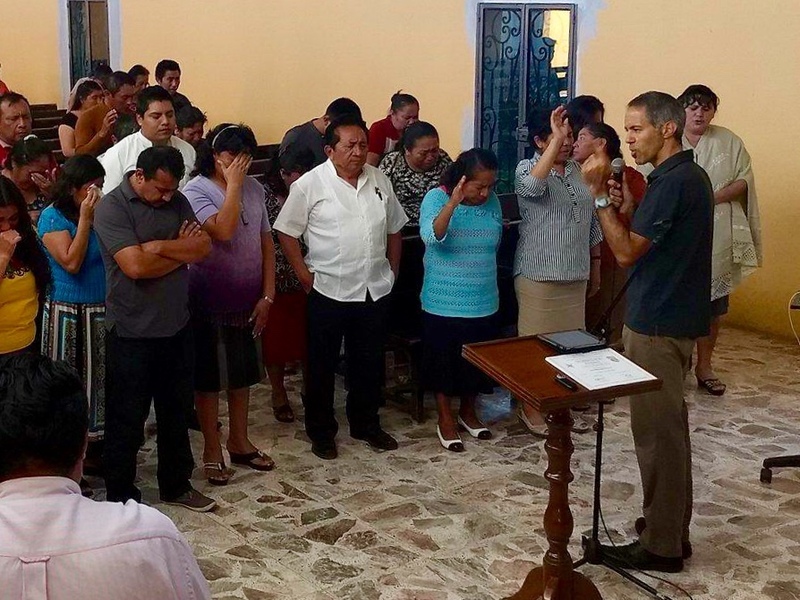 It is that light of Christ and the example of his light bearers that we desire to emulate here in the Yucatan. 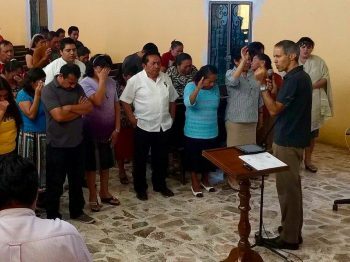 As we continue with our efforts to see the Yucatan full of churches, our prayer is that that pervasive quality of the light of Christ would again be felt. Since September, we’ve held five major events calling on both leaders and laity to plant churches. It is our desire that the more than seventy individuals registered to start works in the coming months, the fruit of those events would be but the beginning trickle of the flood that will pour forth from the four walls of the church to proclaim the message of Immanuel, God with us, and that society again would be moved. Download our Winter Newsletter Now! Confession: More powerful than I had ever imagined.